(CNN) - As the nation mourns a World War II combat veteran and a former US President, George H.W. 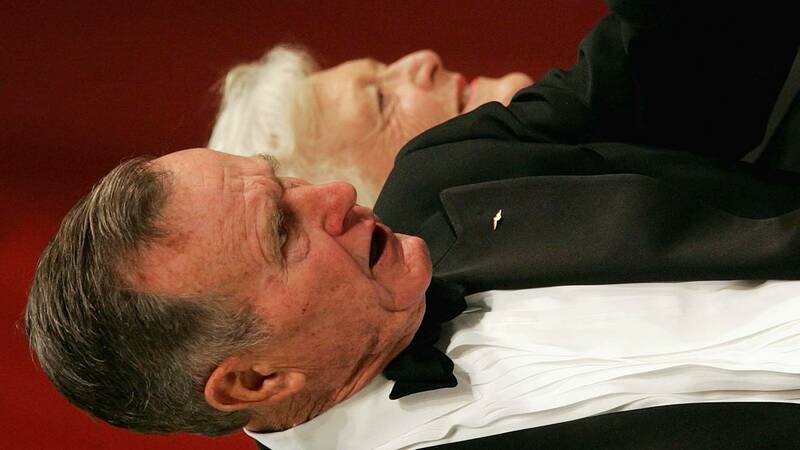 Bush's family is paying tribute to a beloved patriarch. George W. Bush: "Jeb, Neil, Marvin, Doro, and I are saddened to announce that after 94 remarkable years, our dear Dad has died. George H. W. Bush was a man of the highest character and the best dad a son or daughter could ask for. The entire Bush family is deeply grateful for 41's life and love, for the compassion of those who have cared and prayed for Dad, and for the condolences of our friends and fellow citizens." Jeb Bush Jr.: " Nothing gave Gampy more joy than service to others, especially supporting and caring for those who risk making the ultimate sacrifice every day. His leadership taught us to be kinder and gentler, to love each other. We will miss him dearly." George P. Bush: "My grandfather was the greatest man I ever knew. His life spanned the American Century — he fought in World War II ... took part in the Texas oil boom ... served out a distinguished career in public service including serving as president during the final days of the Cold War. He was more than a great man; he was a good man. His courage was matched by his compassion; and his dedication to country was equaled only by his devotion to his family. Gampy, we love you and we will miss you. But we will never forget you. Along the way, he married the love of his life and was a father to six, including a president and two governors. But to me, he will always be Gampy. The man who taught me to fish in Maine, to throw a horseshoe and to swing a baseball bat lefty." Jeb Bush: George H. W. Bush's second son, former Florida governor and presidential candidate tweeted: "I already miss the greatest human being that I will ever know. Love you Dad!" Pierce Bush: "He was always the best grandfather a kid could ask for. Fun and always inclusive of everyone. Never mean or angry. Always kind and thoughtful and loving. As long as I shall live, my heart will always beat with the love Gampy poured into me. He was the human embodiment of love and now that love is with its original source." Lauren Bush: "My grandfather George HW Bush, who passed away peacefully last night, was the center of our family and truly a good and kind man publicly and privately. He is someone I always looked up to and his legacy of service lives on in so many ways. In a letter he wrote to me three days after I was born in 1984, he said- 'It's a funny thing- when you get older, even if you have an exciting life surrounded by interesting people and having a chance to meet all the world's leaders- even with all that- what counts is family and love. We love you already, more than tongue can tell. Devotedly, Gampy' Gampy, I love you and miss you more than tongue can tell!"